San Francisco, California – May 31, 2016. Key Housing, a top-rated corporate housing service for the city of San Francisco and the greater Bay Area, is proud to announce a major information-on-demand update to their informational page on the short-term corporate housing market in San Francisco. In this way, the company is helping those people looking for corporate housing to find available units in what is one what is the tightest apartment market in California, during the busiest season of the year (summer). 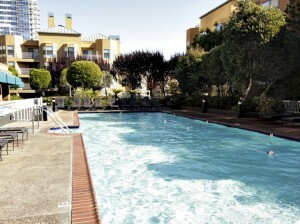 To view the updated overview on San Francisco corporate housing please visit http://www.keyhousing.com/rightside.asp?location=San+Francisco. Note that this is an interactive ‘on demand’ feature, so persons seeking summer short term corporate rentals can use the updated website to browse units. Seriously interested parties are urged to use the website to reach out to a rental consultant by phone or email. As is typical, these San Francisco corporate housing units offer several types of floor plans, from studio apartments to multi-bedroom. All feature hardwood flooring, high ceilings, and fully equipped gourmet kitchens with up-to-date appliances. The common areas are designed to let one take advantage of San Francisco’s mild, but somewhat changeable climate, as there is an outdoor fireplace to warm up by if it is cool, and barbecue and picnic areas for the sunny hours. This entry was posted in Press Releases and tagged Corporate Housing, San Francisco, San Francisco Corporate Housing on May 31, 2016 by Lee McDonald.